Posts categorized "Song of My Heart's Devotion"
I'm so excited to announce a new beginning--two of them, actually--and share something that's been on my heart for a long, long time now. Following the leading of the Lord and with the blessing of my family, I have started a inspirational site for the busy modern wife, mom and businesswoman. I'd love it if you'd check it out. There will be full devotionals each week at the blog www.songofmyheartsdevotion.com and shorter clips of inspiration for daily living on the Song of My Heart's Devotion Facebook page. My desire is for the Lord to use my experiences and things He's been teaching me to help uplift others. I'm super excited, and greatly humbled, and quite frankly terrified I'll say something stupid... but I wouldn't change a thing, because I've been given complete peace about this whole endeavor. Come join me on this journey! And if you ever have any questions about anything I write--just ask. The only dumb question is the one you never ask. It's also a new beginning for me in a business sense. I've joined a fun new home decor company I fell in love with this fall, called Mary & Martha. Their tag line says "meaningful entertaining made simple," and I like the way their products gracefully bring Scripture into the home, with a line of recyclable bakeware for spreading joy to neighbors and co-workers, too. They also happen to coordinate just about perfectly with my own particular blend of "shabby-chic-upcycled-Pinteresty" decorating style. Bring on the burlap! 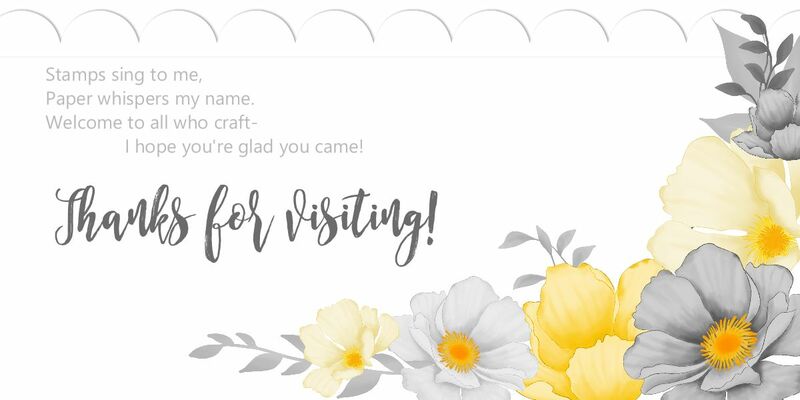 I'm sure I'm going to be my own best customer, just like I am with Stampin' Up! It's been so exciting to me to see the Lord pull all this together. I honestly feel like my whole life has been leading up to this point. Psalm 16:11 says, "Thou wilt shew me the path of life: in thy presence is fulness of joy; at thy right hand there are pleasures for evermore." I hope you'll join us as we seek the path of life, free to be who we are by God's grace, rejoicing in mercies that renew every morning.